« Do Something Just Because It Makes You Feel Good. 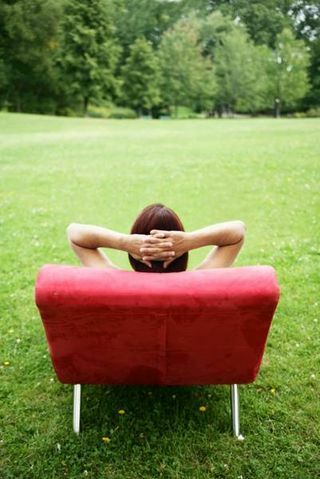 Stop Doing Doing Doing: On the Value of Relaxation. Today we ask that you allow yourself to relax. Relaxation is highly undervalued in your world. People pay lip service to the value of relaxation, sometimes spending large sums of money in order to immerse themselves in relaxing, spa-like environments. But relaxation is generally seen as a special thing, something to indulge in only at certain times, at a certain level of affluence. Many people associate virtue with a constant state of activity. The virtuous person can do the work of two people. The virtuous person is so active and busy that he only sleeps four or five hours a night. He is always doing doing doing. There is no time for rest. Maybe once or twice a year he will go on vacation, but even there he might be busy doing doing doing. This is really not a healthy way to live. Nor is it healthy to teach children that they always ought to be doing doing doing — scheduling continual activities even for children of a young age. It is very important for children to have unscheduled, unstructured time. It is important to play and relax in a loose, open space. It is the same for adults. It is very important for adults to have unscheduled, unstructured time in which to relax and play. The lack of “free time” creates a host of problems for people: stress, anxiety, depression, fatigue, insomnia, illness. It is actually possible for someone to work himself to death. There are many cases of this. That is why relaxation time is not something to be taken lightly. It truly is essential for mental and physical health. So please, allow yourself to relax. Give yourself the gift of unstructured time. Relaxing is no less virtuous than working. If relaxation weren’t vital to health, humans would not need to sleep. Many busy people resent their human need for sleep — but that is madness. Sleep is not the enemy of productivity. It is your friend and ally. Make friends with your body. Respect its need for rest and relaxation. Learn to value rest as much as you value activity.